This post has been sponsored by The J.M. Smucker Company and Kellogg Company. All thoughts and opinions are my own. Find our full disclosure here. I mean….I made that. That little tray ^^^ was made by me. And filled with delicious goodies from my favorite store (aka…Target) and served for a party. It. Was. Amazing. Both the fact that I made the tray, and that I got all the delicious goodies at Target. Oh, and wine. That too. I am absolutely positively certain that you can make this adorable tray. It is SO easy. And, do we even have to talk about taking a trip to Target to get delicious treats to put on it. 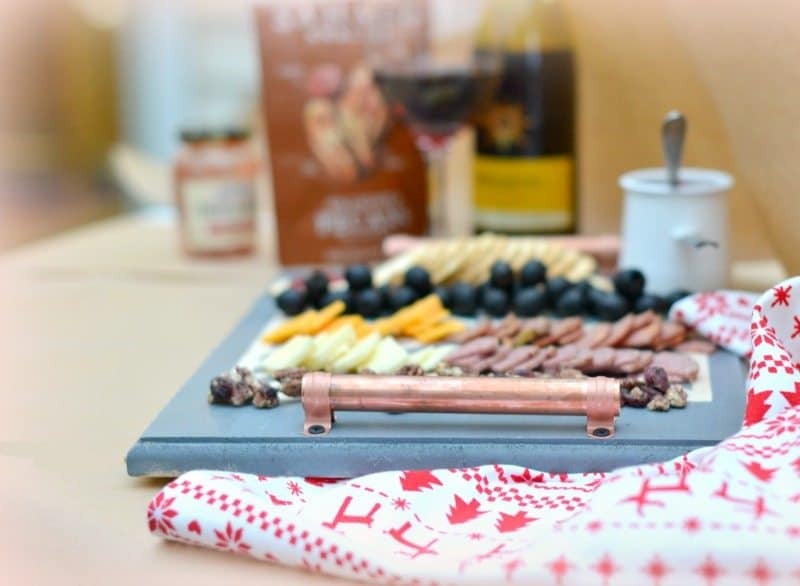 In case you need an excuse to make a cute copper handled serving tray I have one…you need something to serve all the yummy appetizers on for all of the holiday parties you plan on having. The usual meats and cheeses and olives. 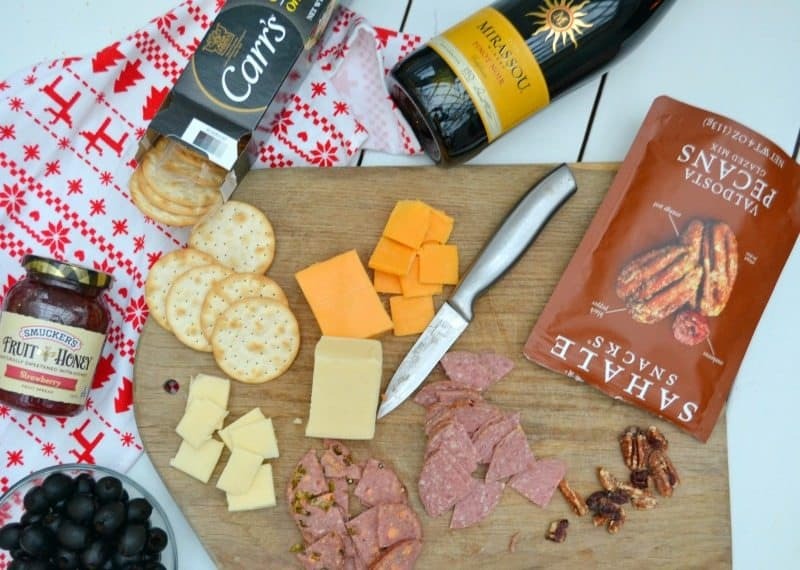 Delicious Carr’s Table Water Crackers and Smucker’s Fruit & Honey Strawberry Fruit Spread. A delicious tasty nut (Sahale Snacks Valdosta Pecans Glazed Mix are my pick!). And wine, of course. Although wine isn’t really an appetizer, is it? But Mirassou Pinot Noir tastes amazing served with these particular choices. 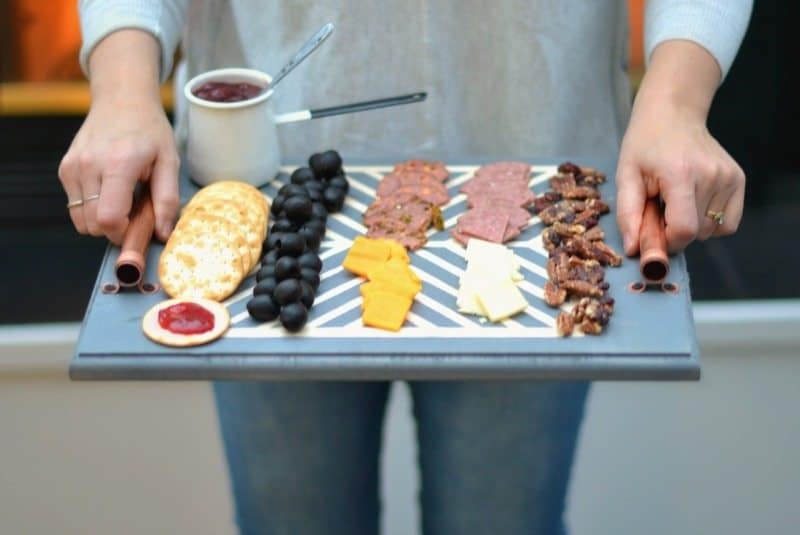 And if I can make this cute tray I KNOW that you can make it, too! 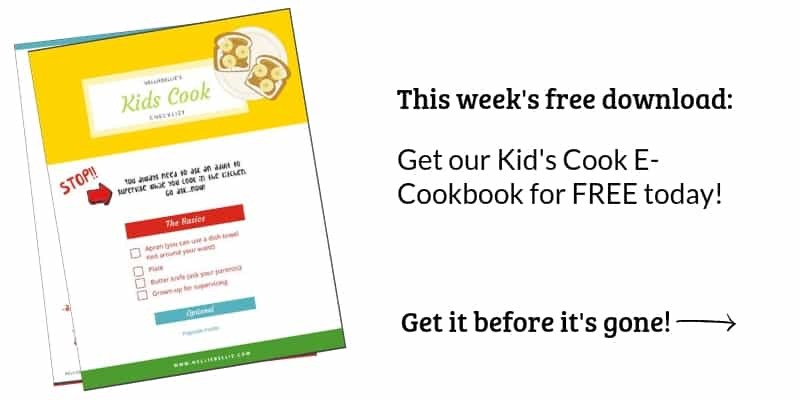 It’s easy to make, easy to customize, and easy to gift. You got this! A large board of whatever size you prefer. Mine is 11 by 14 inches and I grabbed it at my local craft store. 6 inch x 1/2 inch copper pipe’s, 2 of them. These are called repair couplings and can be found at your local home improvement store. 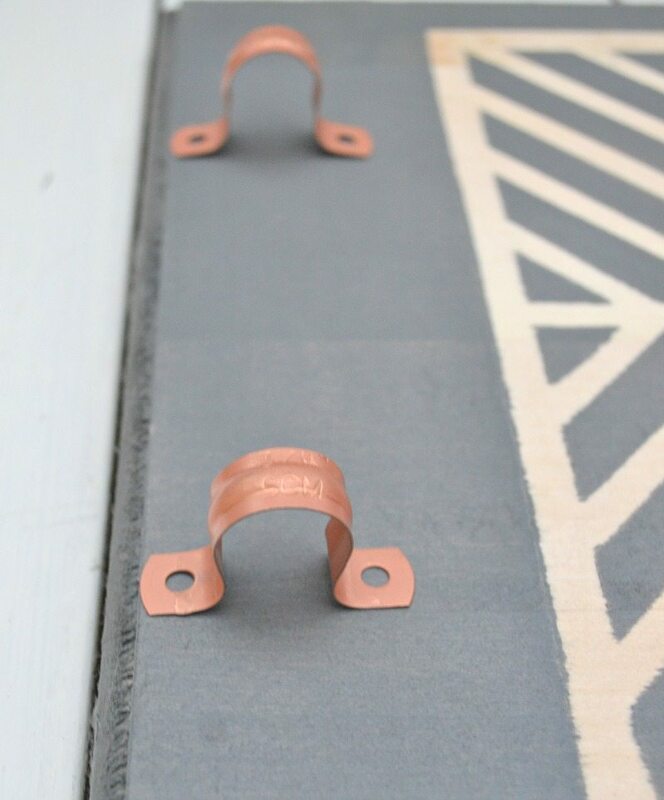 3/4 inch copper pipe fasteners, 2 of them. 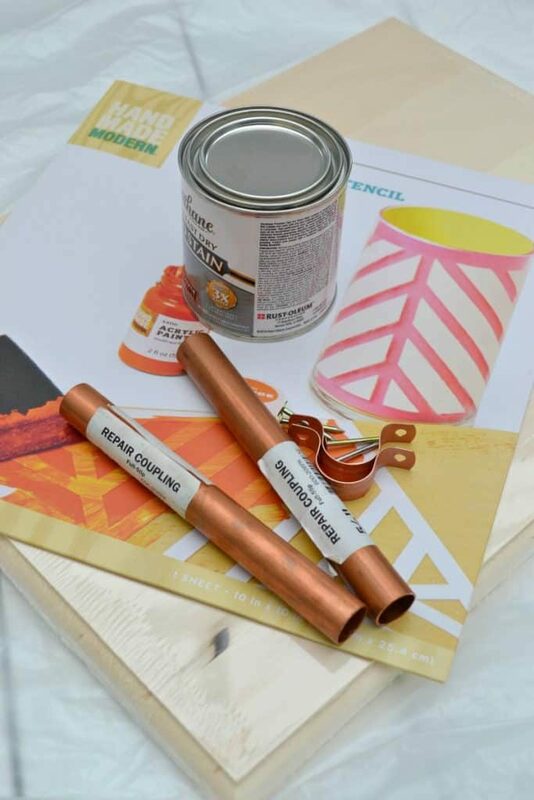 Or, if you are feeling crafty…make your own with painters tape. Or, simply skip this step altogether. 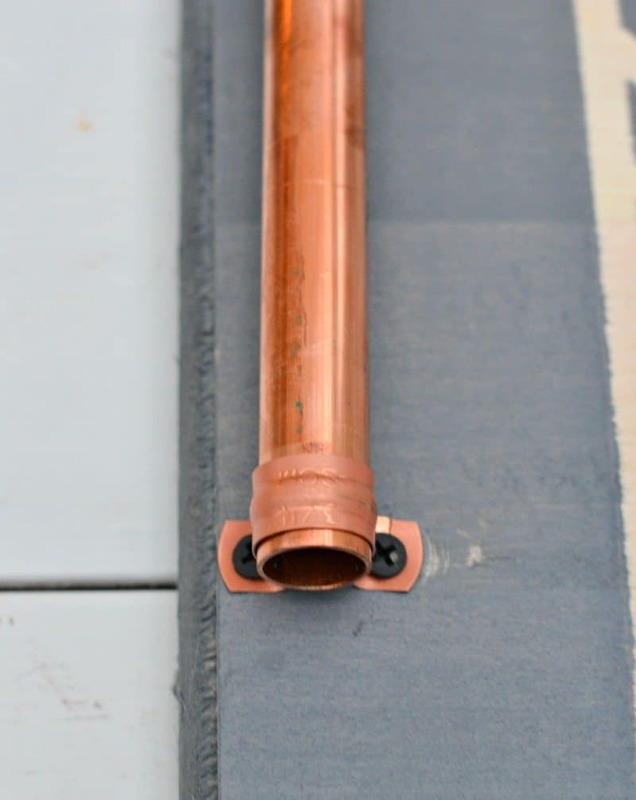 I chose a gray stain for this project that looks beautiful with the copper pipe. Use your favorite, what you have on hand, or feel free to use paint instead. Polyurethane or a clear sealer. This is primarily if you want to use your tray for serving food. Remember to allow this to cure for several weeks. 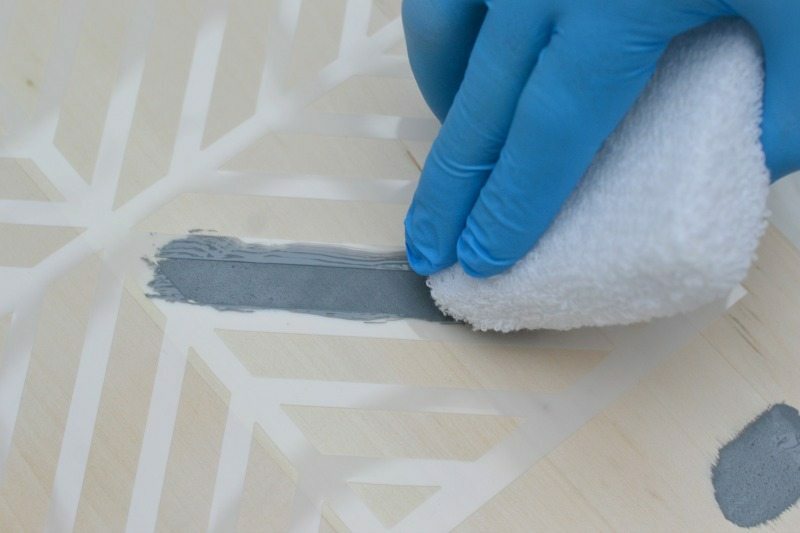 Simply put your adhesive stencil in the center of the board and apply the stain over the board. Be sure to use several thin coats of the stain rather than large applications at a time. 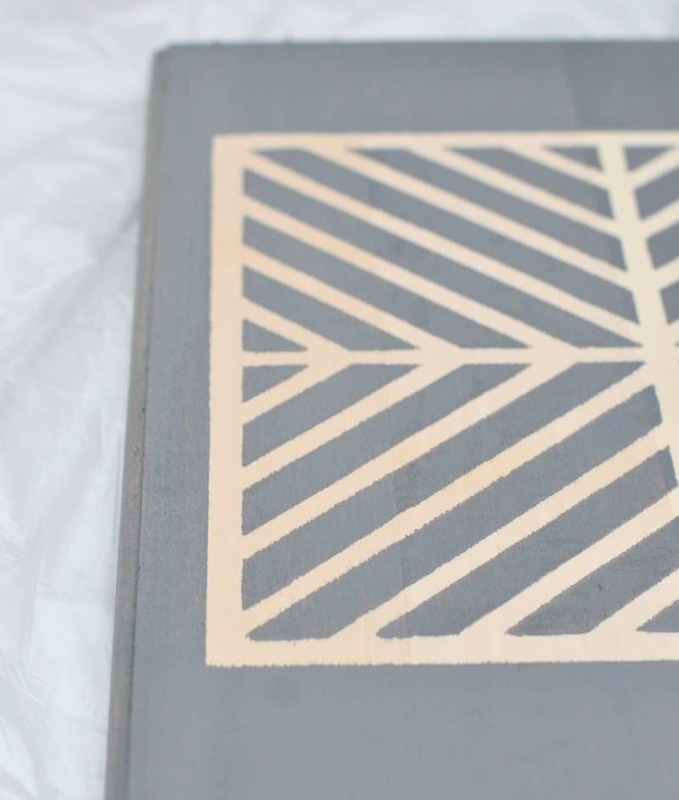 If you apply too much stain too quickly, your stain will bleed under the stencil very easily. 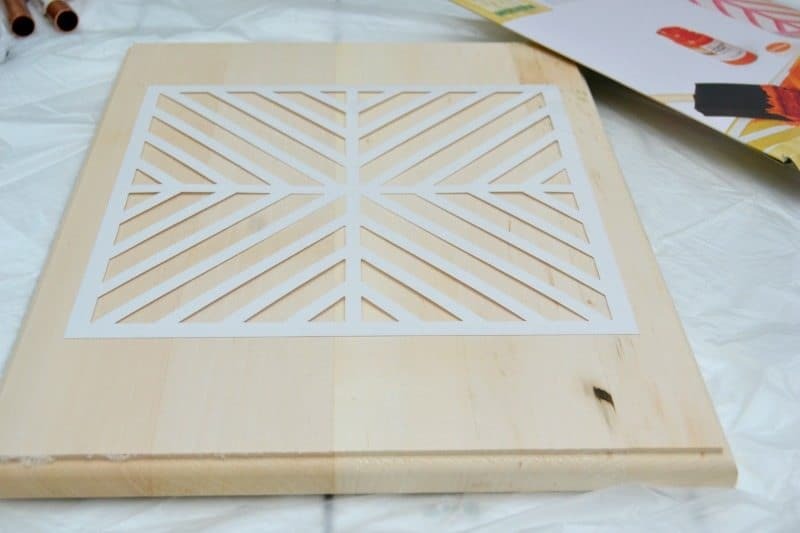 After you apply your stain, remove your stencil and let the stain dry for several hours before applying a clear coat of polyurethane. For food purposes, let your tray cure for several weeks prior to serving food. Of course, you could use your tray for many non-food related purposes! 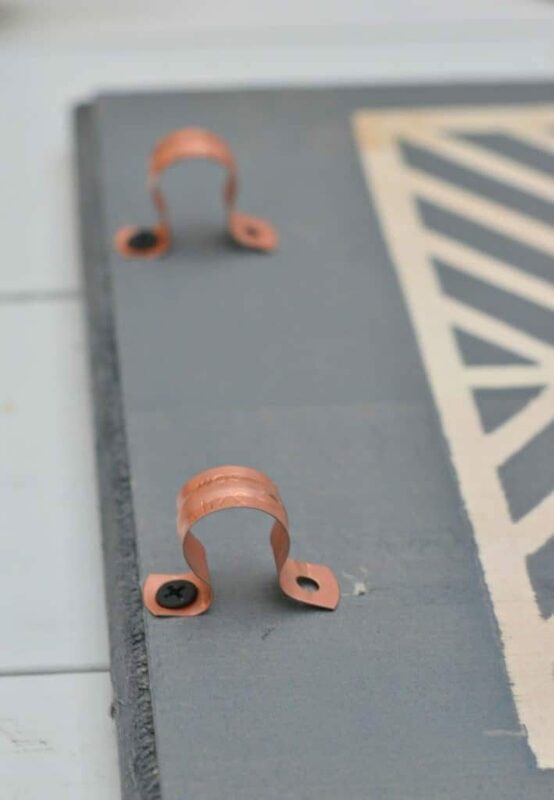 Watch the length of the nails or screws you use that they don’t go through to the other side of your board. Often the nails that come with the fasteners are quite long so, watch for that. I purposely use 3/4 inch fasteners with 1/2 inch pipe so that I can wrap the fasteners around the pipe and give it more lift. You’ll see when you go to make it. Simply bend the fasteners around the pipe and bring the screws as close to each other as possible. You’ll end up with a nice little gap between the pipe and the board. Soak the paper in dish soap and then scrub it off. Then follow up with scrubbing off the adhesive with rubbing alcohol or finger nail polish remover. Done! So pretty, practical, and unexpected! And see that lift of the pipe from the board? Yep, that’s a cool little trick. Okay, y’all go run off to Target and get your treats and wine. But before you do, I have a few Cartwheel deals for you. You. Are. Most. Welcome. It’s always great to save money while eating well, isn’t it!